Take our challenge and tick off as many glorious sites this summer as you can. Founded by St Malachy in 1142, Mellifont was the first Cistercian abbey in Ireland. In 1938, the monks of Mount Melleray Abbey in Waterford founded a new monastery on lands which had been part of the property of Mellifont Abbey four hundred years before. Amenities: There is full wheelchair access to the site. There are toilets, a car park and a picnic area. Opening hours and costs: The site is open from 10am-6pm daily and entry is priced at €5 per adult, €4 for seniors, €3 for students and €13 for family tickets. This monastic site contains two high crosses, the cross of Muirdeach and the Tall Cross, both from the 9th Century. The round tower was used as a watch tower and refuge for monks during Viking attacks. Amenities: There are toilet and car parking facilities, as well as wheelchair access. Opening hours and costs: Entry is free and the site is open daily. According to Irish mythology, this site was the birthplace of the warrior Cúchulainn. The current 18th Century house was built on the site of a pre-Christian fort. The ruin remains today for visitors to explore. Located on the Cooley Peninsula, this Neolithic tomb stands at about 3 metres high. Visitors are invited to throw a pebble on the capstone and if it stays there (according to legend) a wish can be granted. 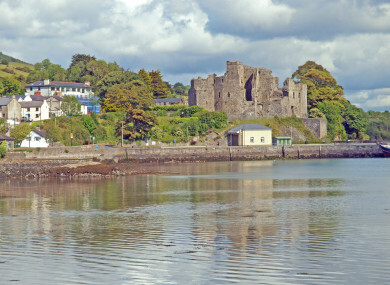 King John’s Castle was built in the 12th Century by Norman knight Hugh de Lacy on a rocky outcrop overlooking Carlingford Lough. It was the first stone building erected in the area and its ruins still stand today. Thanks to Louth County Council heritage events office for recommendations. Email “Your summer in Ireland: 5 must-see sites in Louth”. Feedback on “Your summer in Ireland: 5 must-see sites in Louth”.